guessing, not googling or binging, after all theorising is more interesting than the expert where art is concerned. 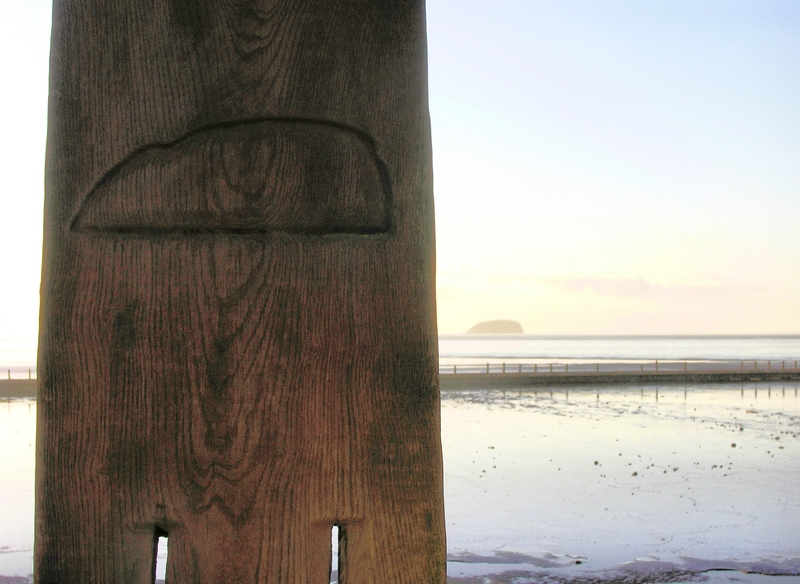 – that the images created upon the impaled ship’s planks or driftwood on the promenade of Weston-Super-Mare were suggested by an artist to point out, direct your gaze to, the islands in the Bristol Channel? Or perhaps they are ancient defence forts as in the Solent off Portsmouth. Almost saying, there, look, see? Literally laying down a marker more impressive than any big arrow or a g.p.s. voice.